Cultivating faith and community from birth through primary school. Waumba is Swahili for “Creator.” Waumba Land is a clean, safe, and carefully staffed small-group environment where your children (infants through preschoolers) will be well cared for. Waumba Land opens 15 minutes prior to the beginning of each worship service. Nothing is more important for your young child than beginning to understand who God is. Waumba Land is one opportunity to partner with you, the parent, to introduce your child to their Heavenly Father. Three basic truths that we want every preschooler in Waumba Land to have planted in their hearts are God Made Me, God Loves Me, and Jesus Wants To Be My Friend Forever. UpStreet is an exciting environment designed especially for elementary-aged children. Doors open 15 minutes prior to the beginning of each worship service. In the large-group time, there are hilarious characters to engage kids, incredible music to excite kids, and relevant storytellers to introduce the “Big Idea” and Bible story that will be discussed in small-group time. Small groups are all about relationships: relationships with other kids, leaders, and most importantly, Jesus. 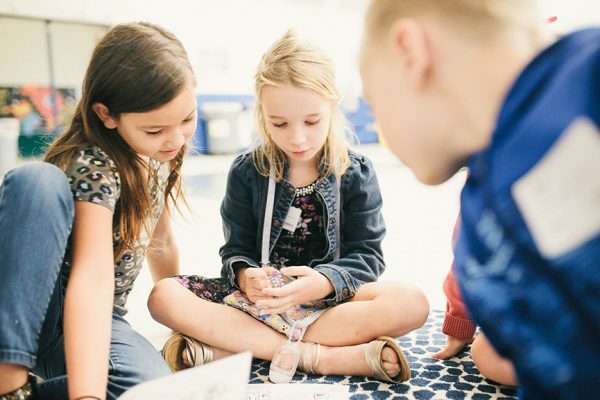 During small-group time, kids take the Big Idea and learn how it applies to their daily lives. They learn how to study the Bible and make it personal and real to them. BabyD is more than an event. It’s an opportunity for you to take some time at the beginning of your journey as a parent to really think about what will matter the most in the life of your child. Then it’s a time to come together with family and friends to share and celebrate the commitment you’re making to lead your child into a growing relationship with Jesus Christ—to guide her and help her understand what that means as she gets older. This is not infant baptism. We believe that when people are old enough to understand what it means to put their faith in Jesus Christ as their personal Savior, they should have the opportunity to make that choice for themselves. A preschooler is not able to understand sin, forgiveness, the sacrifice our Savior made for us, and what it means to have a personal relationship with Jesus Christ. We are so excited to start this journey with you and your family! If you have any further questions, feel free to send us an email at babyD@AccessChurch.com. BabyD is an event designed for parents of children two years old and younger. 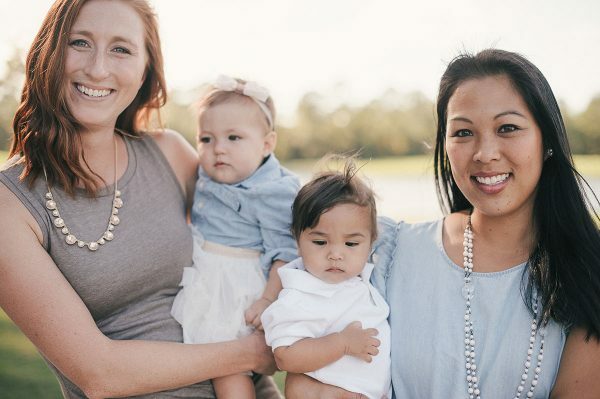 As part of the process to participate in BabyD, we have intentionally compiled three short parenting messages that we feel will help you start right now, at the beginning, to do the things that will truly matter the most to you and your child in the future. This step must be completed before moving on to Step 2. To ensure a special environment, babyD is limited to 12 children. Now it’s time to celebrate! During this event, we will create an intimate and memorable space to rejoice in the life of your child and their future. You will have 1 table for your family and friends which will seat 6-8 people. You are welcome to invite more people, and they are invited to sit in the rows next to your table. All kids in K-5th grade and their parents are invited to Family Experience. Each Family Experience event is approximately one hour long and includes lots of fun, music, and practical, helpful teaching. Join us for the next Family Experience, and receive a helpful take-home kit so that you can spend the entire month reinforcing these Life Apps at home! Family Experience is located at 1515 CR 210 W Ste 107, St. Johns, FL 32259. What it means to have a personal relationship with Jesus. How to lead your child to faith in Jesus. We’ll post the dates of our next JumpStart sessions as soon as possible. Here is the audio referenced in JumpStart. We’re excited about our new KidVenture environment for UpStreet kids! KidVenture is an event designed to allow UpStreet kids and their small-group leaders to connect outside of Sunday morning. It could be karaoke, bowling, jump-n-slide, or some other way to connect leaders and kids in a great social environment. KidVenture happens twice a year. © 2019 Access Church. All Rights Reserved.